Jess Hunt-Ralston, a communications officer at Georgia Tech and the creative force behind the lifestyle blog Where With Elle, had been dating her now-husband, Chad, for less than a year when they decided to buy a house together in 2012. She was in her last year studying at Tech, and he was finishing law school at Emory. 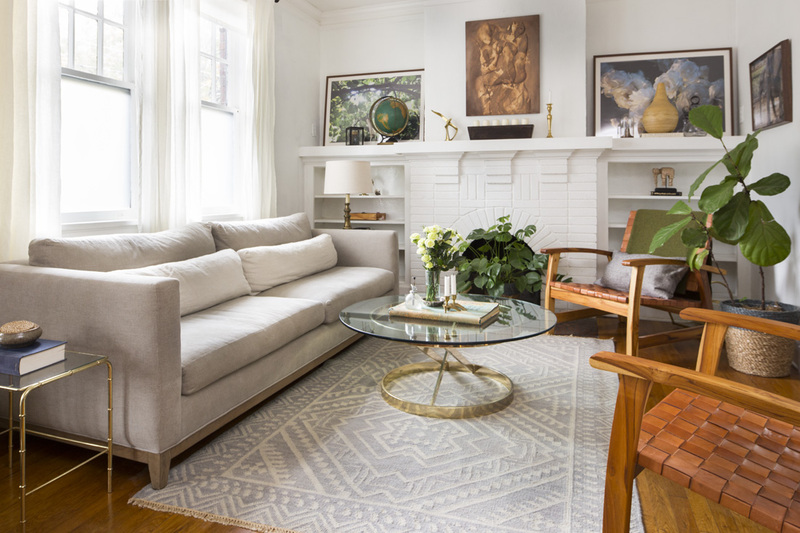 They scoured the city for the right house until landing in a cozy two-bedroom, two-bathroom bungalow in Poncey-Highland. Jess shopped at local antique stores including The Wish List, and found this Milo Baughman coffee table, adding a Mid-century Modern feel. You never know where you’ll find inspiration during a reno. 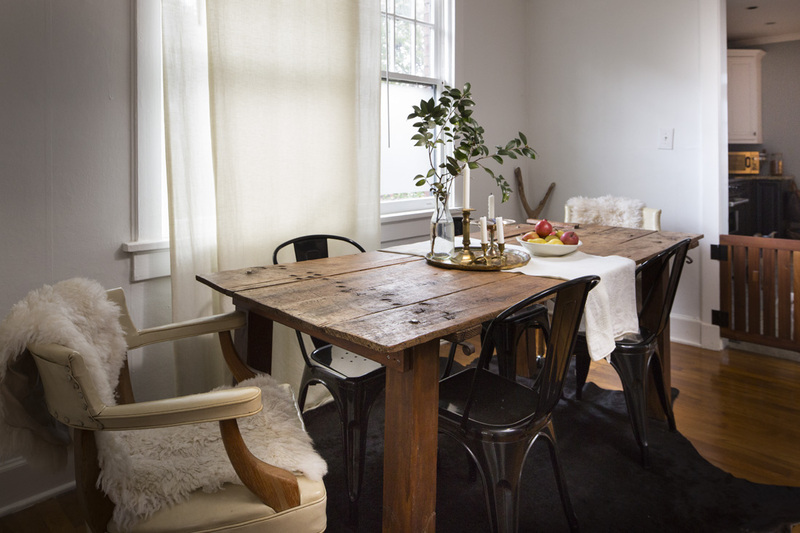 Jess found an old barn door and converted it into a dining room table. 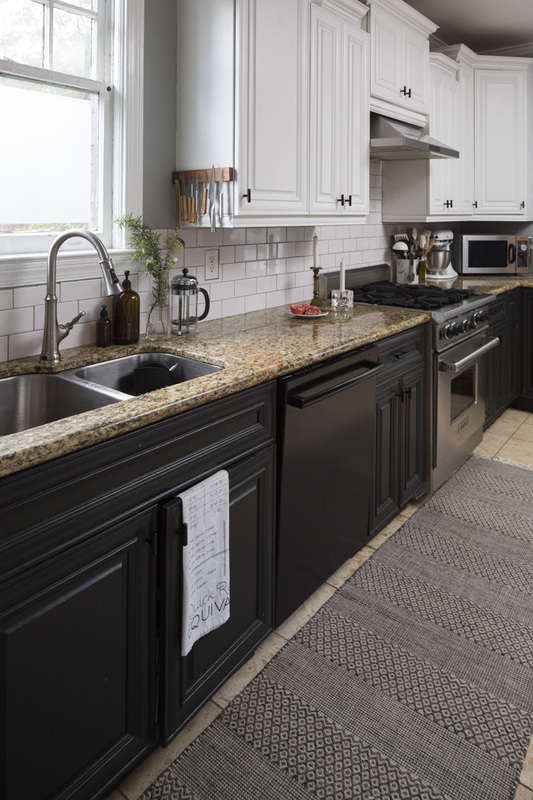 Jess’s and Chad’s kitchen originally had cherry stained cabinets and yellow walls; after revamping the look, they were able to free up space by moving the fridge into the pantry. 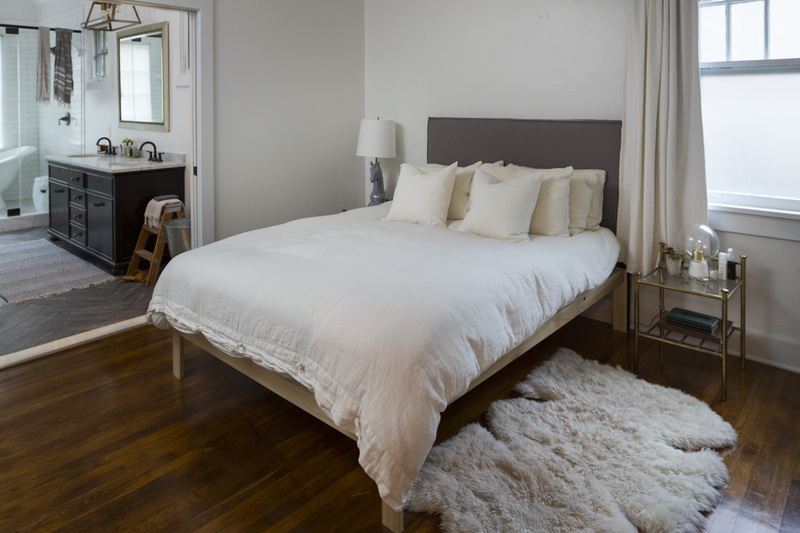 Jess’s “less is more” aesthetic applies to the master bedroom, which is clean and crisp. 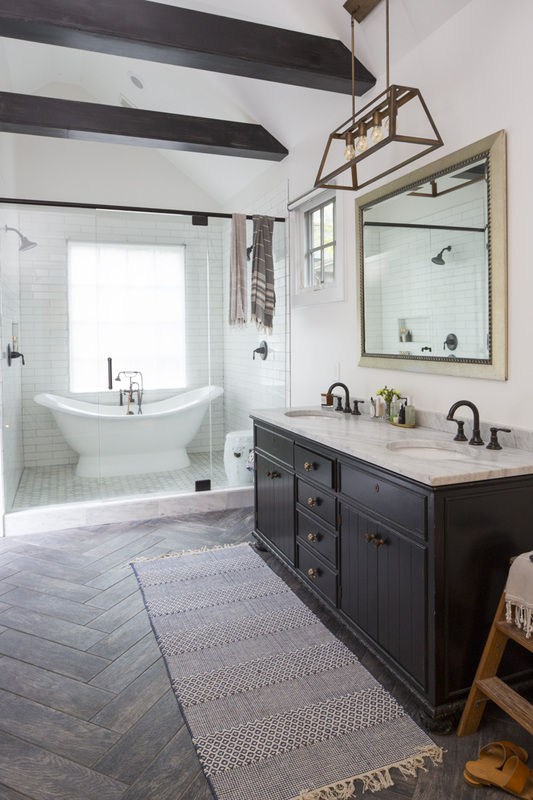 The master bathroom was added on, with the bathtub in the shower to create more space.